Mulugeta Gebrekidan Desta graduated in 1992 from the Addis Ababa University School of Fine Arts & Design. This past year, he was awarded the 2014 Innovation Award on the “KLA ART 014” Festival Exhibition in Kampala, Uganda. Mulugeta has held numerous solo exhibitions in Ethiopia - “The dialogue within” (2012) and "Nexus" (2009) art exhibitions in Asni gallery, “Wondering” exhibition in Goethe-Institute (2011) - as well as internationally - at theVirginia Creative Center for the Arts (VCCA), USA (2005), at the Volkshochschule Leipzig, Germany (2005) and Studio Am Schloss, Berlin, Germany (2005). Mulugeta did his Art Residency in Virginia Creative Center for the Arts (VCCA), USA and in 32° East|Ugandan Arts Trust in Kampala, Uganda. Gebrekidan works in multiple mediums - such as painting, video, photography, and installation. His current projects document the changes taking place in Addis Ababa (the capital of Ethiopia), reflecting on questions of identity, history and the culture of his city. Mulugeta aims to capture the internal transformation of the hearts and minds of people affected by the rapid destruction and reconstruction of urban development. He creates a platform for visual, conceptual, and public dialogue on social issues through his site-specific works and public art interventions. Mulugeta has shown his art in numerous group exhibition in Addis Ababa, Ethiopia, as well as abroad in Uganda, Georgia, Germany, Belgium, Senegal, Italy, South Africa and USA. Born in 1984, Makeda Bizuneh graduated from Addis Ababa University Commercial College with a BA degree in Marketing Management in 2006. In 2010, Makeda earned her Bachelor of Fine Arts degree in Painting from Addis Ababa University Alle School of Fine Arts and Design, where she presently works as an assistant lecturer and curator. Makeda uses semi-abstract and decorative styles in her paintings. Her signature work depicts slum houses of Addis Ababa, and is composed of large and expressive colored masses with geometrical elements. Her extensive study of the impressions and characters of these slum houses in the city has allowed her to capture the full range of their atmosphere and uniqueness. Monochromatic lines and scattering of colored rectangles contribute to the delicate complexity of her work. Makeda uses collage techniques in some of her works to add depth and texture, acrylic paint to get a transparent effect and oils to make thick brush strokes. Makeda also illustrates guidance and educational children’s books . 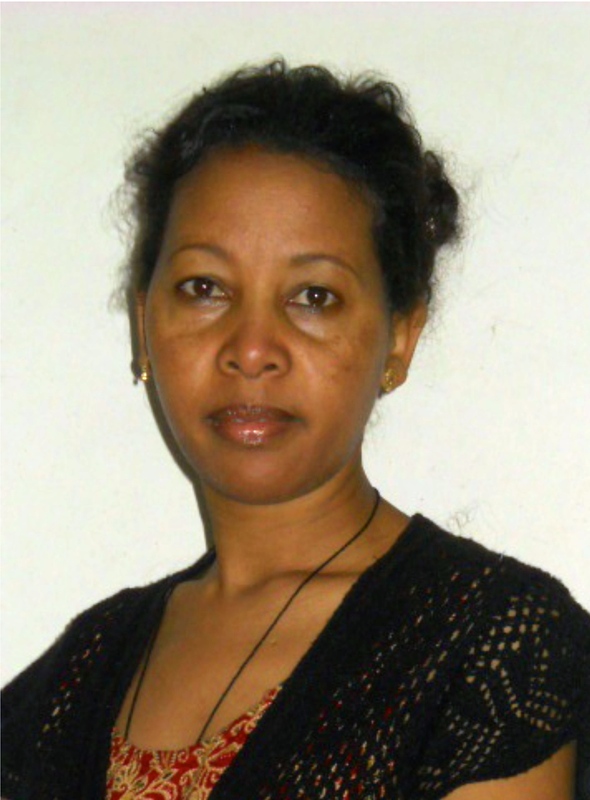 She is a member of the Ethiopian Visual Arts Associations (EVAA) and the Women Artists Association (WAA). For Workneh, art quickly became his life, a medium through which he was able to channel his passion and dreams. Receiving formal training gave Workneh the techniques and academic skills he needed to bring his dreams to reality. Workneh experiments with different artistic forms and has become one of the pioneers of children’s puppet and short animation films in Ethiopia. Included in his creations are rug puppets, paintings in oil and watercolors, sculptures and graphics art. Workeneh has shown his works in more than 20 exhibitions in Ethiopia and internationally. To learn more, visit the artist's website at www.worknehbezu.com. In 2001, Workneh established Habesha Art Studio with his colleagues and other emerging Ethiopian artists. I was born in Addis Ababa, Ethiopia, in 1989. Growing up, I was blessed with a caring family that nurtured my interest in art. My late father, Birhanu Gebre - who was a professional painter who has done numerous works in Ethiopia, encouraged my creativity after observing my very first signs of talent in drawing at an early age. Ever since I can remember, I have always enjoyed sketching and painting. As a child, I grew up surrounded by the sight, smell and texture of art materials. I believe it’s this early exposure that has set me on my still evolving journey through art. During my time studying Psychology at Addis Ababa University, I enrolled at Enlightenment Art Academy, a private art school in Addis Ababa, Ethiopia. At Enlightenment, I learnt the basic language of fine art and was able to fine tune my drawing skills. I am currently pursuing my Master’s at University of Bergen in Norway. I consider myself a self-taught artist with my skills complimented and sharpened by my formal studies of art. In the past, I have contributed to Trueafricanart - an African Art collector based in New York. Although I am not a full time artist, a typical day for me would always involve having my pencils in my hands. Most of my work is influenced by beauty, color, women, and the traditional Ethiopian hand-woven fabric and clothes. I describe my work as a blend of fashion and art. In addition, I draw portraits of people and still life paintings. I can simply say that my soul is immersed in art, and celebrates with it. I’m happy to share some of my works with you. Senafiksh Zeleke was born in 1967 in Addis Ababa, Ethiopia. She studied painting at Addis Ababa University Alle School of Fine Arts and Design; doing further studies in painting and computer graphics in Italy and India. Sinafikish has presented her artwork in more than 40 exhibitions in Ethiopia as well as abroad. Currently, she works as an art instructor at the Indian National School in Addis Ababa and is the president of the Women Artist Association. Senafiksh’s more recognizable works celebrate the female form - highlighting female facial features, depicting stories of a woman’s complexity on canvas. Her signature and unique use of a wide range of earth colors whispers the exotic warmth of Ethiopia; shapes seamlessly blend together to convey both softness and intensity of exaggerated bodily dimensions lending distinctiveness to her paintings. Senafiksh is a mother of three; 22 and 13 year-old sons and an 18 year-old daughter. She lives with her husband and children in Addis Ababa. When she is not teaching, Senafiksh enjoys serene days working in her home studio. Seifu has over 12 years of experience working as an art director, graphic designer and creative artist; showing his work in more than 30 solo and group exhibitions locally and internationally including the Ethiopian National Theater Art Gallery, the Economic Commission for Africa, the U.S. Embassy in Addis Ababa, the National Museum of Ethiopia, as well as shows in the United States and Canada. 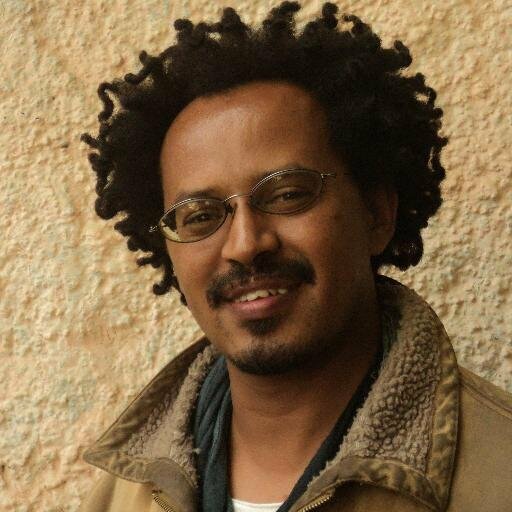 He is a chairperson of the Ethiopian Visual Artists Association and the Art Director of What’s Out magazine. Seifu paints with oil and water color; he creates sculptures, mural and chalk art, sandblasted art on glass and glass engravings, as well as using his keen artist eye in interior design. Seifu believes that the world is a combination of two elements - lines and color - and says that only art has the power of relieving our souls from the intense and dark world that draws us into its pitfall, transforming us into a world of light and beauty. This spirit is clearly visible in his work. Berhanu Mekonnen was born in Addis Ababa in 1969. He is a graduate of Addis Ababa University School of Fine Arts and Design receiving a degree in Art and Painting in 1991. The form, sound and melody of the traditional Ethiopian instrument called the Begena (Harp), predominantly played during the lent season, has been a source of inspiration for Berhanu’s work for over a decade now. Berhanu initially worked by directly painting onto the actual Begena instrument, using it as his canvas and marrying the art piece to the very instrument that the work derives its inspiration from. Later on, he started transferring the elements of the instrument onto virgin canvas, incorporating the top tuning part of the Begena as an organic extension to his artwork. In his recent work, Berhanu focuses more on the spiritual aspect of the instrument that evokes “peace and silence” he says; emphasizing the transcendent nature of the haunting sounds of Begena. The majority of the art pieces created by Berhanu from 2011 onwards have shown a distinctive shift towards serenity. This, the result of being introduced to the practice of the art of living (Vipassana Meditation) and mindfulness. He credits this experience as a turning point in his life saying, “…ever since, I have been using my art to explore more and more aspects regarding the essence of life. Painting is an act of meditation for me, through which I strive to probe my soul in search of my true self.” His recent works have a sense of tranquility, but still retain the vibrancy of his warm colors in his composition. Berhanu has shown his work in more than 30 exhibitions in Ethiopia, Germany and The Netherlands. He has illustrated numerous books and has provided graphic design for a number of campaigns on pertinent issues ranging from health to education and social reform. Birtukan Dejene graduated from Addis Ababa University Alle School of Fine Arts and Design in 1996. After years of working as a graphic designer for various organizations and magazines, Birtukan is now happy to be a full time studio artist. She has exhibited in numerous local art shows in Addis Ababa and is known for her use of geometric figures to depict the human form. Birtukan's characters have a haunting quality about them; an almost alien grace and sophistication. The women in her paintings always seem to know something that the onlooker does not, making us want to be let in on the secret. Birtukan’s colors are earth-touched and warmed by the Ethiopian sun; you get a whiff of spices, making you dream of the exotic beauty of the land. Eyayu Genet was born in Durbete, 470 km North of the capital city of Ethiopia, Addis Ababa. He earned his Bachelor's Degree in Economics from Bahir Dar University in 2007. That same year, he joined the Addis Ababa University Alle School of Fine Arts and Design and received his BFA degree in painting with great distinction in 2011. In his earlier works, Eyayu explored the question ‘Does life influence art or does art influence life?’ in his modern surrealist expression paintings. His inspiration from culture, life, joy, and sorrow while celebrating God as the source of all things, gave his paintings voice and relevance to our daily experiences. Irony and tongue-in-cheek humor is not lost on Eyayu nor in his work - in one of his works, Coca-Cola and Pepsi bottles hug each other to illustrate friendships beyond rivalry (see below). In his more recent themes, he took the two extreme altitudes in Ethiopia - Dalol (-115m below sea level ) and mountain Ras Dashen (4,620m above sea level), as a departure point and combined opposite colors (cold and warm) to create harmony. In his paintings, Eyayu also uses semi- abstract objects, mostly reminiscent of architectural and cultural elements of rural Ethiopian to to illustrate everyday nuances of life. Eyayus’ work has enjoyed national and regional recognition in Ethiopia. His efforts to make the city of Bahir Dar an alternative art corner in the nation is coming true. He has organized numerous art shows in the city and trained 80 students in technical and artistic expression. Currently, he is an art instructor at the Bahir Dar University. Nuru Abegaz graduated from the Addis Ababa University’s School of Fine Arts and Design in 1997. “A blank space, be it paper, glass, or object presents itself as a challenge, which I try to meet, using my inner compass as a guide; over the years I have been developing my personal vocabulary’, says Nuru. “For seven years during my ‘Gray parade’, I restricted myself to the use of white and black paint exploring the possibilities of tonal value, composition and the placement of the human figure in often distorted spaces. I tried to reflect on the human condition through a personal and emotional view point; and seven years ago I discovered electrical tape (nastro) as a suitable medium” he adds. “Although the choice of colors are limited, the overlapping and layering (due to the semi-transparency of nastro) of the primary colors and deliberately leaving part of the surface blank allows me to achieve a vibrating, energetic life to the work”, explains Nuru. “Drawing has been and still continues to be an important part of my work; and drawing with nastro has opened a new aesthetic for me - due to both the limitations as well as flexibility that the mediums offer. During my journey on the surface, I attempt to find balance and visual rhythm in the composition” he comments. Nuru lives and works in Addis Ababa; and has taken part in numerous group and solo exhibitions. Samuel Hailu was born in 1988 in Southern Ethiopia. In 2012, he graduated from Addis Ababa University Alle School of Fine Arts and Design with a degree in Painting. Today, he is a full time studio artist, exhibiting his work in local and international venues. Musical notes, entwined with images of women - his muse for the origin of life and continued existence - are Samuel’s signature subjects. His colors are not timid, and his musical notes vibrant. Samuel’s paintings are lyrical and modern. “Aging signifies continuity to me, not death”, says Yohannes Bayou Fikre. His artworks relay this sentiment. Yohannes draws his creative inspiration from time-worn old houses found all around Addis Ababa (the capital of Ethiopia); seeing grace, wisdom, history and continuity in each of them - a natural continuity. “One aspect of life has to end, to give way for the next one to take over; life-substitution and life continuity are natural laws”, he adds, “much like the death and decomposition of a plant is essential to provide nutrition for more plants to grow”. This, Yohannes says, is the core principle in his creative process. “I hope and try to reflect this ideology in my works”, he adds. At just 26 years of age, his work has undergone change and maturity during his years at the Alle School of Fine Arts and Design, Addis Ababa University, from which he graduated in2013. Yohannes’s initial work embodied realism - conveying the beauty of his subjects in a holistic approach. In recent times Yohannes started experimenting with fragmenting his subjects and moving towards a more conceptual genera. His use of materials also diversified, including oil paint, charcoal, installations and collage. Yohannes wants to continue developing his concepts and diversify his use of medium to depict his evolving philosophy. Yohannes has participated in numerous solo and group exhibitions in Ethiopia and U.S. He is also a winner of the painting competition organized by the United Nation Population Fund (UNFPA), in Addis Ababa, Ethiopia, in 2012. Kidist Brhane is the proud mother of two daughters. Born in 1982, Kidist studied painting at Addis Ababa University Alle School of Fine Arts and Design. Her paintings walk a thin but comfortable line between realistic and semi-abstract, lending ethnic and decorative motives to the majority of her work. Kidist presented her first solo exhibition at the Ethiopian National Museum. She has participated in a number of solo and group exhibitions in Ethiopia as well as abroad in Geneva, Switzerland. Association (EVAA). She is a current member and active participant of the Ethiopian Women Artists Association, as well as a member of the Association of Women in Business. Shadows and fluid colors that are almost flowing into molten motions on the canvas define some of Biru Worku’s best work. His other inspirations stem from the Ethiopian Orthodox Church; church service scenes, priests and divine church musical instruments are omnipresent in his work. Wide expanses of market spaces and crowds also find space onto his paintings but the technique here is different as softer colors play out and towns come alive in the background.